Going to boarding school can be a difficult transition for many students, but for Indigenous students from remote communities, it can be quite a culture shock. 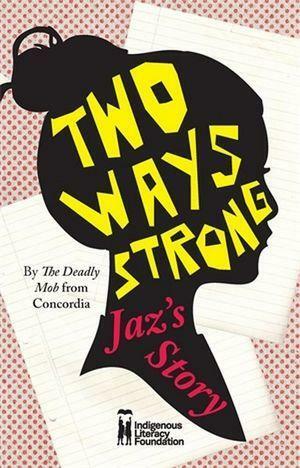 In Two Ways Strong, Indigenous students from Concordia Lutheran College have combined to tell their experience in a story about Jaz a young girl from Palm Island who goes to boarding school at the age of fourteen. Jaz has many challenges to face, not least having to speak English and make herself understood. Her fellow Indigenous students help to ease the way for her but ultimately it’s up to Jaz to make the most of what boarding school has to offer. As she becomes accustomed to school life, has fun with her friends and has academic success, Jaz realises just how much she has gained and grown in the time she’s been at school. She’s no longer just one way strong like she was on Palm Island, she’s now two ways strong and ready to take on the world.